MONDAY, Jan. 14, 2019 (HealthDay News) -- The holidays, winter weather and the flu season have all prompted a blood shortage, the American Red Cross warns. The organization said Monday it had about 27,000 fewer blood and platelet donations than needed over Christmas and New Year's. People nationwide, especially those with type O blood, are urged to schedule an appointment to donate. This can be done by downloading the free American Red Cross Blood Donor App, going to the Red Cross website or calling 1-800-RED CROSS (1-800-733-2767). January is National Blood Donor Month, but donor turnout can be low at this time of year due to weather conditions and seasonal illnesses. For example, blood drives were canceled this past weekend in several states from the Midwest to the East Coast due to a large winter storm. And the U.S. Centers for Disease Control and Prevention reports widespread flu across nearly half the country. "During the winter months, snow storms, icy road conditions and seasonal illness like the flu often cause blood donors to delay their donations," said Chris Hrouda, president of Red Cross Blood Services. "This further exasperates our already depleted blood supply from over the holidays," Hrouda said in a Red Cross news release. "We are working every day to restock hospital shelves with lifesaving blood products for patients, and right now we need all healthy, eligible individuals to give blood and platelets as soon as possible to ensure we can meet patient needs." Eligible people are encouraged to review Red Cross information on blood donation during flu season. People who are 17 and older, in most states (or 16 with parental consent where allowed by state law), weigh at least 110 pounds and are in generally good health may be eligible to donate. High school students and other donors 18 and younger also have to meet certain height and weight requirements. A blood donor card or driver's license, or two other forms of identification are required at check-in for blood donations. 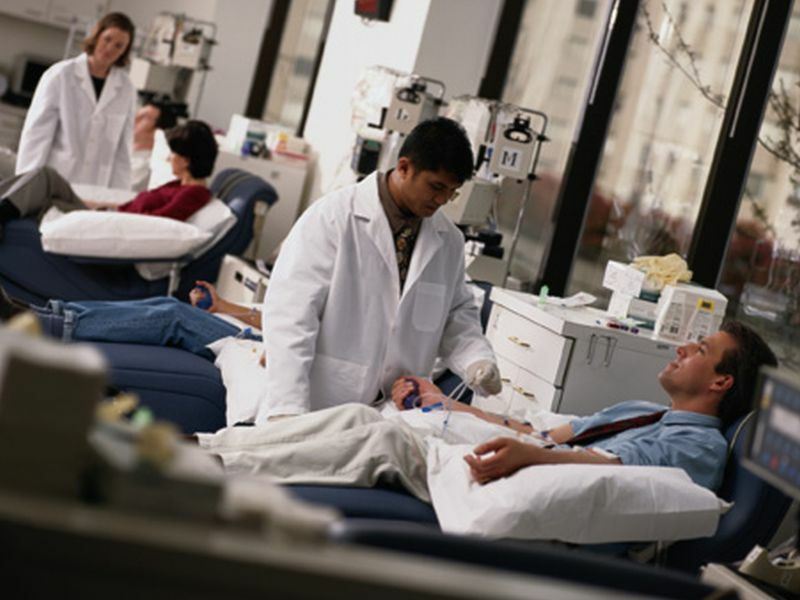 Patients who rely on blood and platelets include accident and burn victims, heart surgery and organ transplant patients, and those being treated for leukemia, cancer or sickle cell disease. Blood products are perishable, and the only source is volunteer blood donors, the Red Cross said. Learn about hemophilia causes, symptoms, treatments, life expectancy and lifestyles.